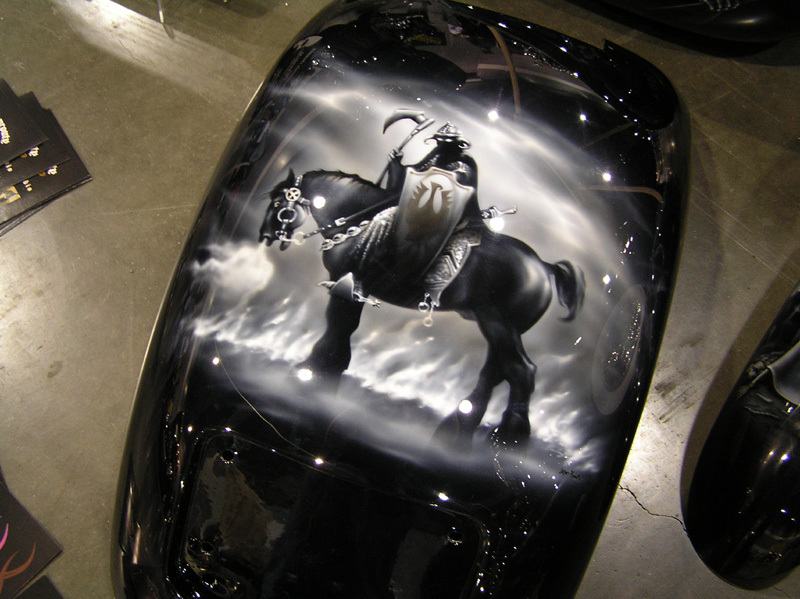 This is a very nice 2007 Thunder Mountain Chopper with 2,000 miles on it. These are built in Colorado. This one features a 121" Jim's motor and 6-speed transmission. 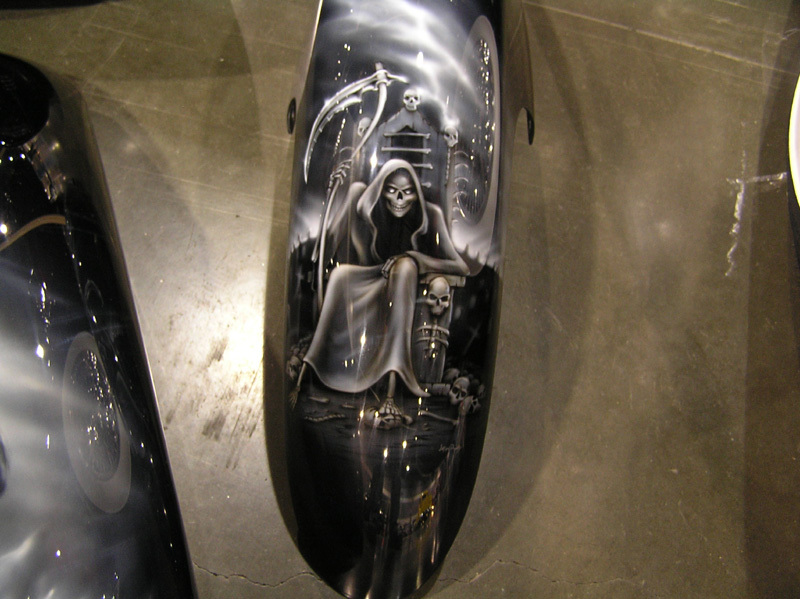 It has a 300 rear tire. This thing is FAST. 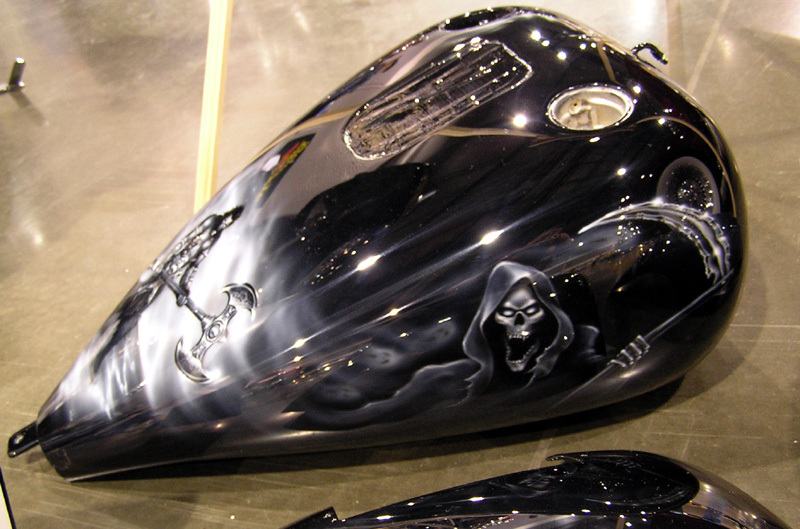 It features highly custom Grim "Reaper" themed paint. 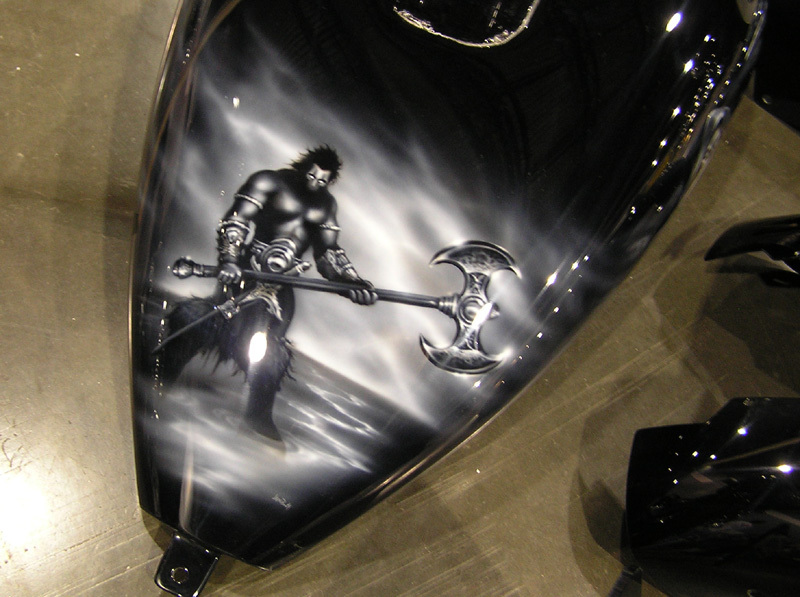 This scoot won "Best Chopper" at the Seattle Roadster Show. Call for a viewing appointment. Price: $29,995 OBO. Some trades considered. We have a 2006 Kendon Chopper trailer that could be purchased separately. Copyright � 2013 C. M. Classics. All Rights Reserved.